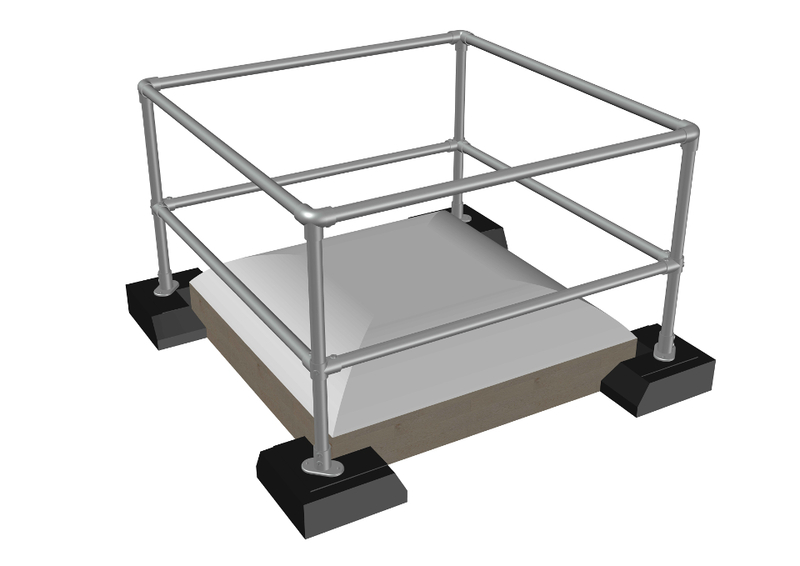 A comprehensive modular system with freestanding and top fix solutions, ideal for all flat roof coverings and tested to the highest safety standards. Easy to install components mean no welding or bending is involved - perfect for a speedy installation. Modular parts mean you can pick and choose exactly what you need - including a combination of freestanding, top fixed, and parapet components where required. 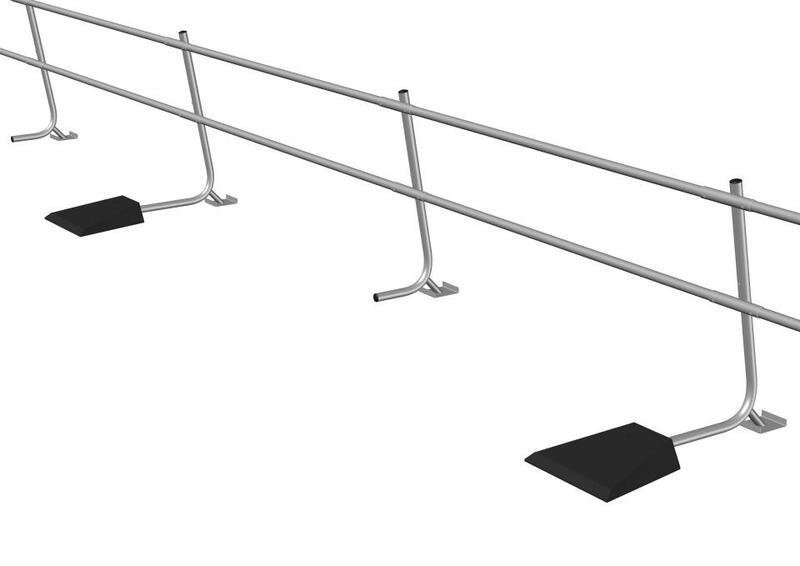 Looking for a folding safety rail to collapse out of sight when not in use? 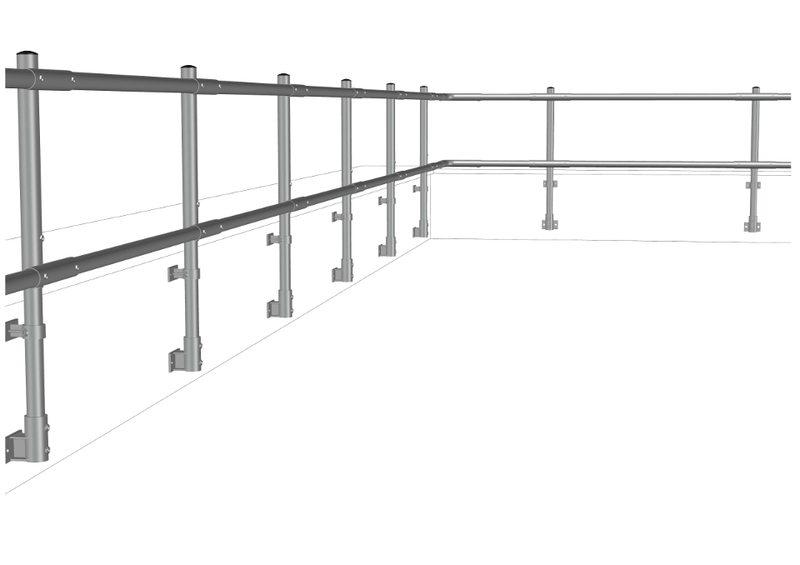 No need for drilling - the Rhinorail freestanding system is quick and easy to install. 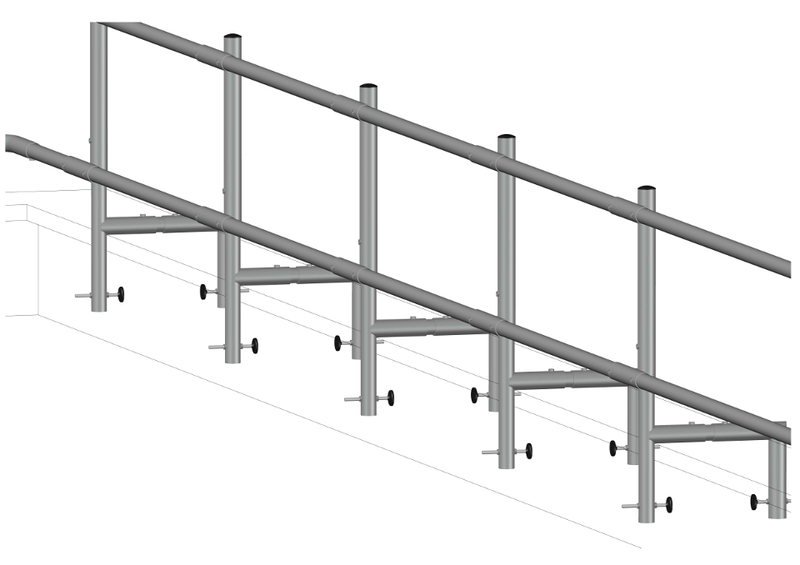 Freestanding parapet system: no drilling required and minimal tools! 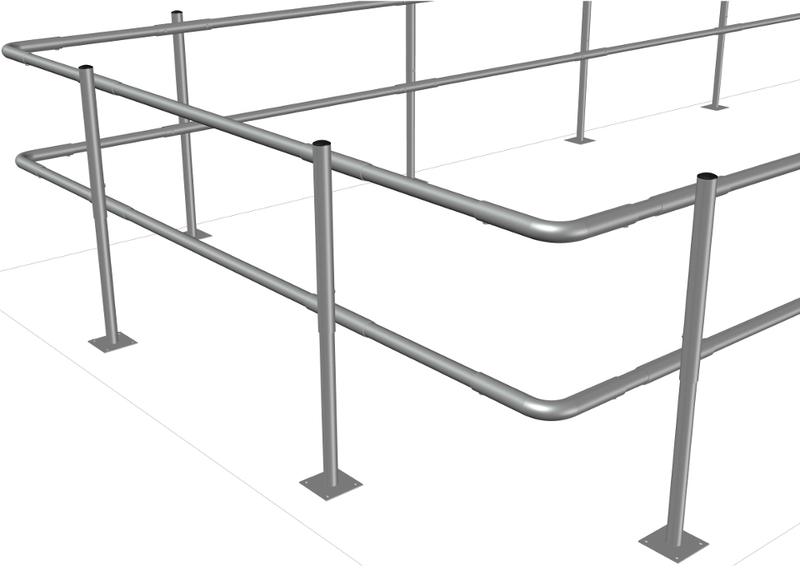 Ideal safety rail solution for any metal profile sheet roof. Prevent falls through fragile rooflights and skylights with this easy to assemble system. 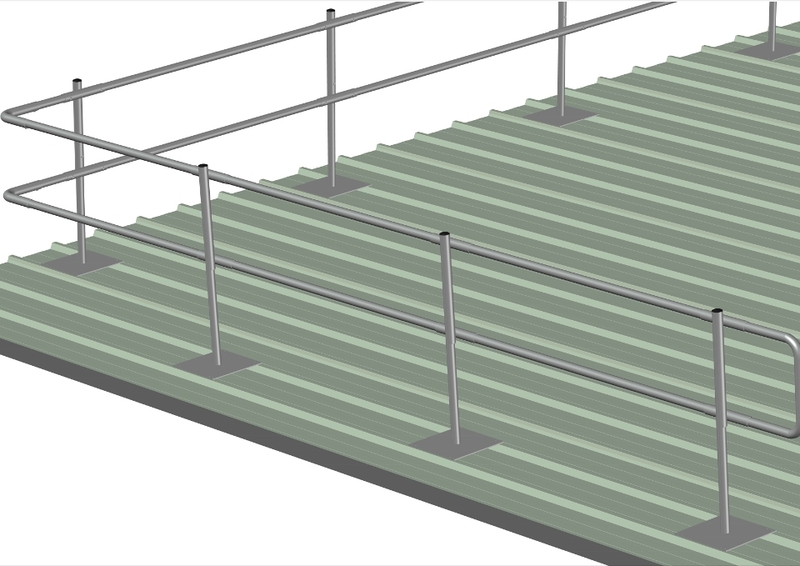 An easy permanent parapet or wall fixed safety rail solution. 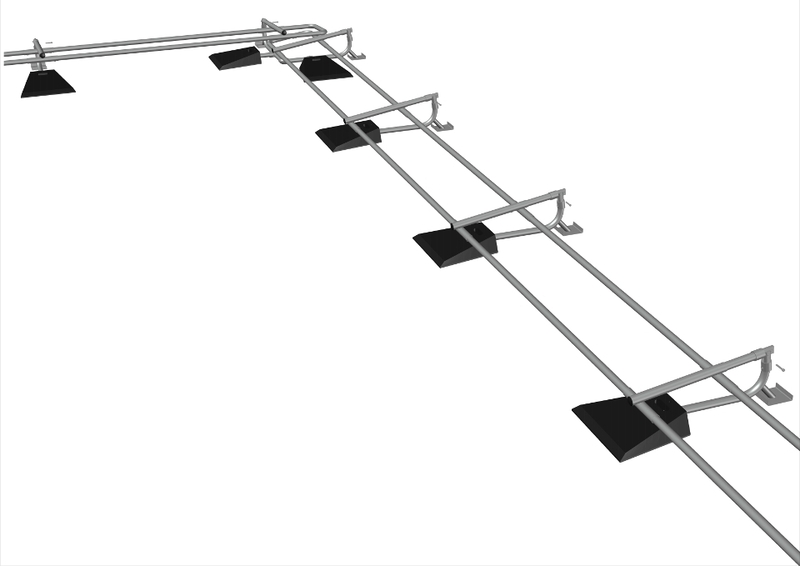 Your permanent safety rail system for all roof types.